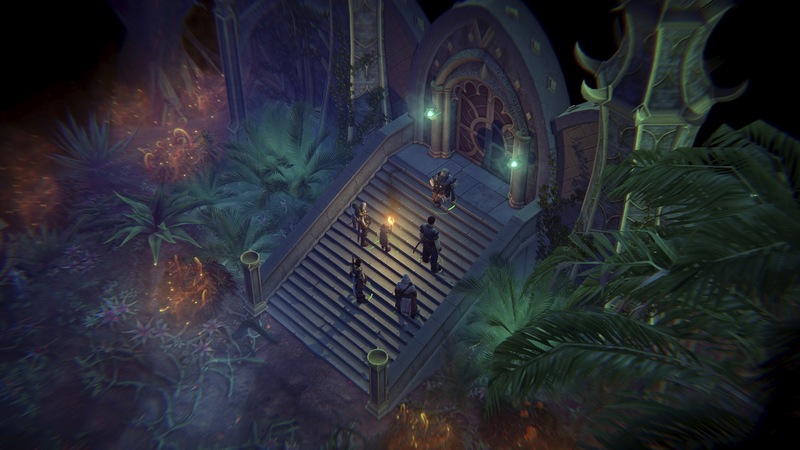 Pathfinder: Kingmaker Out Now on PC and Mac! Nearly a decade ago, Paizo released the Kingmaker Adventure Path. Your characters explored the Stolen Lands, carving an empire for themselves out of the wilds and leaving their mark on Golarion. 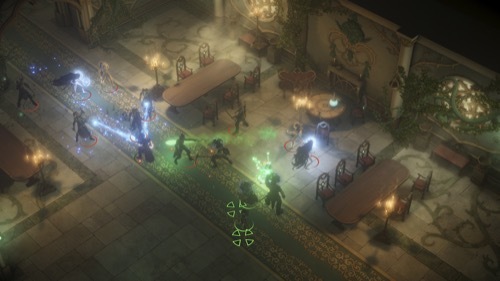 Today, Owlcat Games released the Pathfinder: Kingmaker cRPG, revealing a vibrant and rich tapestry that takes you beyond the Adventure Path. Your reign begins now! Pick up your copy of Pathfinder: Kingmaker today on Steam and GOG. Join us the Paizo Twitch channel today at 1:00 PM Pacific time as creative director James Jacobs leaps into the Pathfinder: Kingmaker adventure live! Plus, let us know your thoughts and connect with other players in the Pathfinder: Kingmaker forum. I'm looking forward to reading some reviews of this as it looks to be pretty good. Download finally done (GOG seems weirdly slow today - or I am extra impatient), now installing. Day 1 game breaking bugs on Linux. I am eagerly anticipating a patch. I preorder the noble edition on gog.com but for some reason It dosen't show me the Mac version, the only computer type i have. are any other Mac users having that problem? Finally got mine all downloaded (slowness due much more to CenturyLink than GOG). Gonna wait until I can backup some stuff and archive some other stuff to clear up a few dozen GB of extra free space before I try to install and play it. I just found out this game uses Unchained Barbarian instead of the real Barbarian class. I'm really sour about this. Can someone tell me how to access the game so I can download it? I figured since I was a pre-order customer I'd get an email, but I found it was released through blind luck. Now I can't seem to get the game despite being able to log onto Owlcat games. I do realize it could be operator error, and the "download here" button might be staring me in the face. Still, any assistance is appreciated. This is actually pretty good. Definitely has a lot of potential. I'll play it some more tomorrow morning. I think I found the download button, but it's saying I dont have a purchase. Did anyone else go though my.com? Owlcat games said they work with them. Crisis averted. It was operator(me) error. Pretty good so far. A few little typos (and poor English) and ui errors, just one crash, which resolved on restarting. Not sure every last character ability works, I'm playing an Abyssal bloodline Eldritch Scion Magus, which is a bit of a hack- they're based off sorcerer bloodlines since bloodragers (and their version of bloodlines) aren't in the game. Claws aren't working, but doesn't affect much. The trick will be seeing if the strength bonuses work. Other than that, my biggest quibble is the feat lists aren't always properly sorted, they wander out of alphabetical order at times. I'm through the majority of chapter 1 quests (at 7 hours), just exploring various locations before heading to the fortress for the chapter 1 confrontation. Regarding bugs, being an Inquisitor of Torag prevents you from casting spells for some reason. The Mac and Linux versions will be available soon. had that issue, updated to 'optional' graphics drivers fixed it. I would love turn-based combat in this. By and large. Some things had to change (like most immediate actions). The basic magus ability to buff weapons is a little clunky when it comes to properties (like flame, frost, etc- they're each their own separate icon), but mostly it's very good. Sneak attack archers are hellish, however. Sometimes the faithfulness is a bad thing. Some PnP mechanical issues show up- blindness, early poison, and some things just RNGing and one shotting characters. Anyone for Craziest encounters so far? I was exploring the edges of the map and ran into a pair of Elder Fire Elementals... while level 2. Sadly fleeing from random encounters doesn't seem to be a thing, except in the overworld map if you manage to evade (and choose to do so before you've seen the encounter). Oof, yeah... and a grid. So Linzi keeps charging face-first into the fray, and when I try to get her out of there, she gets an AoO... There seems to be no 5’-step or Retreat, which makes this really deadly. I’m glad I didn’t go with my original idea of Rogue/Paladin; the flanking would have been super tricky to set up. Has anyone figured out a good routine yet that allows combat to start with squishies staying back and firing ranged attacks? Oh, one more thing: Has anyone figured out how to use potions in the midst of combat? I put them in my belt, but I can't see them in the action menu. how spoilery is this in terms of the last book of the AP? I had wanted to integrate that in my own homebrew. B like button slightly above the hotbar on the right. Stands for Belt. the middle and left buttons have extensions of the hotbar. Thanks, just figured it out. Pretty easy to mistake those for ornaments! As for keeping Linzi's face from the melee, I suppose that's what the «Hold» command (press H) is for. There's also an action button for switching on Mobility, so that might help get her out of the fray if she should end up in it. My whole party is fatigued from traveling, there's the bandit attack incoming, and the game won't let me rest at Oleg's. I guess I just have to ride it out with the penalties and remember to rest often while traveling from now on...? My level 2 characters TOTALLY got wrecked by two spider swarms. Tried it a few times, started using torches to do fire damage, but... Gah! Will try it again at level 3. Also playing the "challenging" rules which is more in line with RAW pathfinder. But the game is great. So faithful to PF. Love it. It is going to be a while before anyone can really tell you what the end game is like. But... I would imagine it to be 100% spoilerly. I am not having this problem at all. Linzi holds a crossbow, so has no reason to get into combat. Are you auto pausing the game when combat starts and giving them orders? If so, she would never get close assuming you have tank up front. I'm going to say waiting might be warranted. Lots of bugs being reported especially on Mac and Linux. I've also encountered a bug that completely prevents the game from being launched at all that persists after several reinstall that could be due to simply changing the display mode. What i played was quite fun, but there's definitely work that needs to be done. 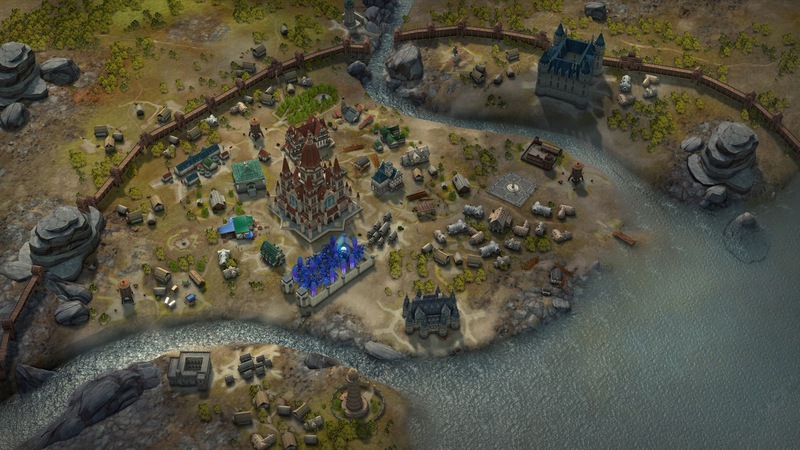 While this game was not designed to be as rigidly turn-based as Divinity: Original Sin 1 & 2, you can actually enable a pretty close approximation since the game is entirely based around 6 second turns. In the settings there are two options you can enable in Pause options. The first is "Pause at the end of each turn." The second is "Pause after all allies actions." Between these and the other available Pause options you can select everyone's actions, hit the space bar to unpause the game, watch what everyone does and then the game will pause to allow you to change characters actions. Hope this helps get you closer to what you'd like. So a few things that might help. I haven't seen a 5' Step or Full Withdraw option yet, but there is an action in the Characters Ability list that allows you to make a Mobility movement to avoid attacks of opportunity. And if I'm not mistaken I believe Linzi actually has a pretty decent Mobility Skill just for this. As for Sneak Attacks and flanking, I haven't had the chance yet to really test the system, but I've heard that Sneak Attacks are actually much easier to setup because the system does not enforce very strict positioning rules. In fact I've read from some of the Beta Testers that it seemed like as long as 1 or 2 allies were attacking a creature (without the table top flanking of being directly across from one another) that characters were even qualifying for Ranged Sneak Attacks. As for your last question. I would recommend using the custom formation option which allows you MUCH more freedom to have your party members positioned as you'd like. Also I've noticed that as long as the character has a ranged weapon in hand they will not immediately run forward, but will instead start firing their ranged weapons. Finally there is also two small buttons to the right of the Party members portraits. The bottom one enables or disables AI actions for the selected character. So if you have this option disabled that party member will take NO actions that you do not specifically give it. So I thought this was actually a pretty elegant design choice by the developers. Just above your action bar there are three (two if your not a spell caster) artistic icons that might be mistaken as just decorative UI elements. But when clicked they expand out to show you different abilities the selected character can take. From left to right, these show your available spells, available class abilities, and items available to use on your belt. So far I'm really liking this design much more than how Never Winter Nights or alot of the old school CRPG's did it. As far as I've read this game takes EVERYTHING from the written Adventure Path and includes it in the story. Then it adds some additional things that Chris Avalon was apart of writing to expand the story into a 7th epilogue type chapter that takes characters all the way to lvl 20. But yeah, I would expect the entire story written in the Adventure Path to be spoiled by the time someone finishes the game. I'm actually pretty excited to play it since I've never had the chance to play the AP nor do I really expect my gaming group to ever run it. It's still much harder to plan a turn, since everyone is moving and taking actions simultaneously. Getting AoE spells off correctly is a bit of a pain. Sure, its still not as convenient as the rigid turn design, but hopefully it feels closer to the experience those who want turns might be looking for. Maybe this gives us a bit more insight into how challenging things are for our Table Top characters since all their actions also take place simultaneously. Thanks for the suggestions! I’ll try the «Make ALL the pauses» setting. Linzi: I’m pretty sure I gave her a melee weapon and forgot to switch back to the crossbow. D’oh! You should have an encounter on your way to Oleg's trading post, after which you are prompted to rest. In the settings there are two options you can enable in Pause options. Oh yay, thanks for this note! I broke my arm recently, and while I like a lot about the real-time combat mode, it's...not conducive to tactical play with one usable hand. These settings should help a lot. There is an option toggle for AoE. They can either snap to the closest target or be targeted where you click. Yes. If you're hauling a lot it slows you down, and increases the rate of fatigue checks. Armor in particular isn't worth hauling if it isn't magic. The weight/gold value ratio is really, really bad. The game is freaking amazing - especially since they fixed the load game bug on Mac last night! I've only gotten about 2 hours of play so far, but man, I'm loving it. Of course I have a druid who is HORRIBLE at Intimidate/Diplomacy stuff, but still really loving it. I had the same experience. I ended up with four characters that don't have an AOE attacks. That fight destroyed my party. I couldn't figure out how to flee so I had to reload. I'm going to try and go back with Aclhemist's fire. Despite my failure, I'm really enjoying the game. Haha swarm in the cave south of the outpost? Yeah, came here to lament the same wrecking. At least I can prep burning hands on my hero magus. Thanks, you've given a ton of helpful advice. I'll definitely turn on pause at the end of each turn. I'm still really annoyed that there seems to be no way to five foot step, but tons of attacks of opportunity. And a grid overlay during combat would be greatly appreciated. Still a fun, fantastic game overall.